← Write me to the moon! Our resident pet “Beagle” is on the prowl, what’s on her mind? What is she doing? Add a caption to this photo for a chance to win the Vintage Metalsmith “Jefferson,” an acid-etched Tornado with all antiqued finish. Funniest, wittiest, most creative, unique or whatever we like the best wins! The contest will end on Monday at midnight, so get your captions in. What do they think I am, a cat? How’d their Tornado get way up there, anyway? Even Beagle knows the heights she’ll climb for a Retro 51. This is it! I found my way out of this joint! Pen Thieves Beware – pen hounds included with every new Tornado. No place to run, no place to hide! If your looking for an ugly pen… You are barking up the wrong tree! Job seem impossible? Retro 51 to the rescue! Retro51…writing taken to new heights. Retro51 …writing taken to new heights. I really need to lose a little weight! Man, I gotta work on my slice. My Ball? Anyone seen my ball? I am one with the squirrels. Hazel come down! I promise I won’t bury any more of your Retro pens and I’ll even dig up your two favorite Tornados. Please Hazel?! Climb they said – it’ll be fun they said! Now where did I put that shoe? You can’t make me have a bath! Oh Hell NO!! I’m not going to the vet. I know what they do there! 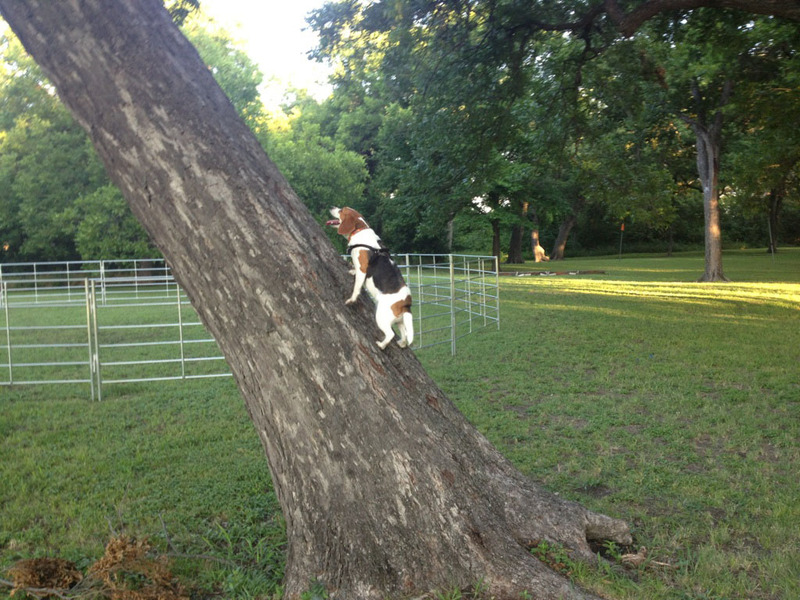 Hang on tight to that tree, Beagle! There’s a Tornado coming through town! You need to come down right this minute. I told you to go to the doghouse, not the treehouse! Forget it… He can fetch his own darn Retro 51 back from the cat. I’m just helping the retro 51 design team branch out! As the beagle tried to get “fresh”, the tree would have nothing to do with it……..
Tornado? Did someone say Tornado? I’m not goin’ out like Toto!